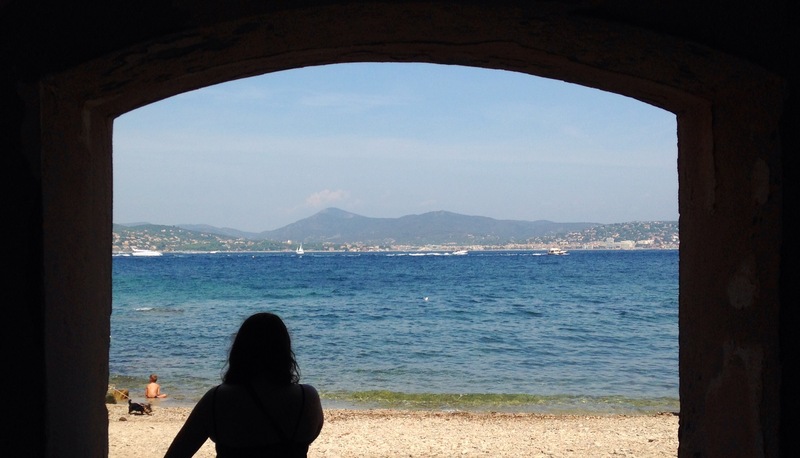 As the boat pulled into the dock at Saint Tropez it was obvious where we were. The rows upon rows of super yachts, sailing boats and speed boats were an indication that this place was full of style and money. 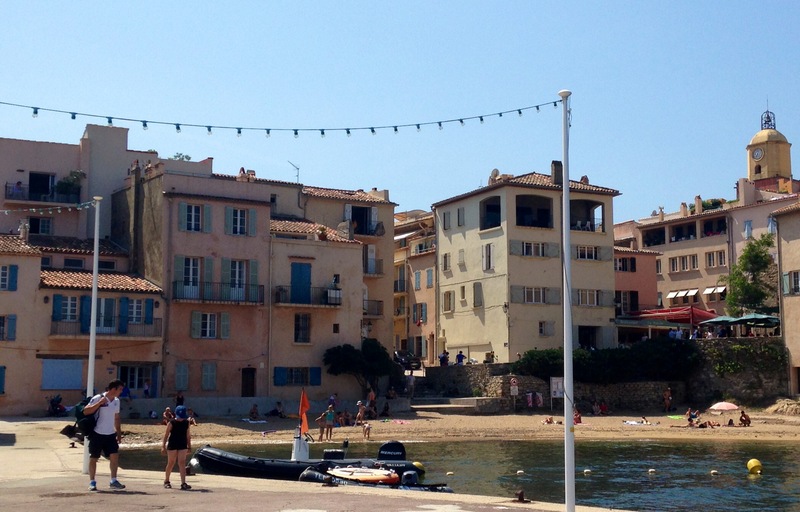 Unfortunately we didn’t have a private yacht to arrive in and instead took the humble taxi boat across from Sainte Maxime. We arrived at 11am and decided to explore for a couple of hours before meeting up with everyone else for lunch. 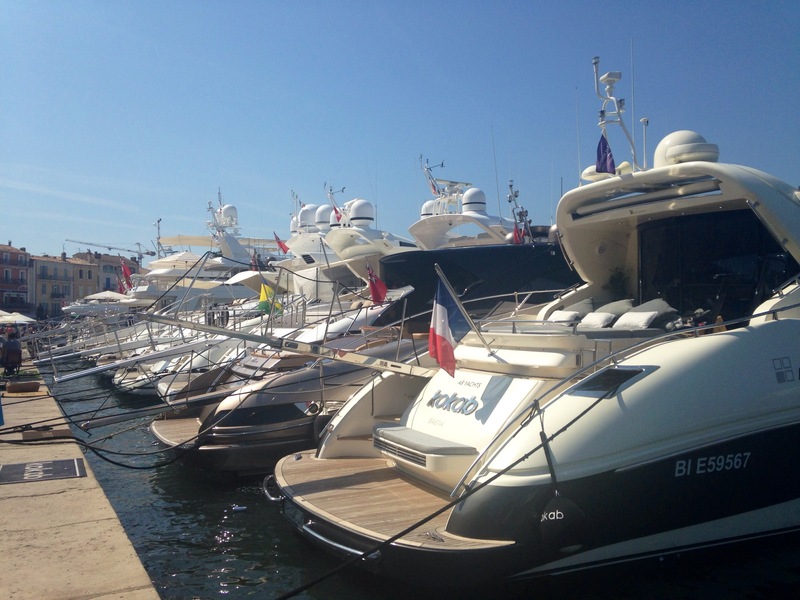 We first explored the dock and partook in yet more window shopping for yachts. 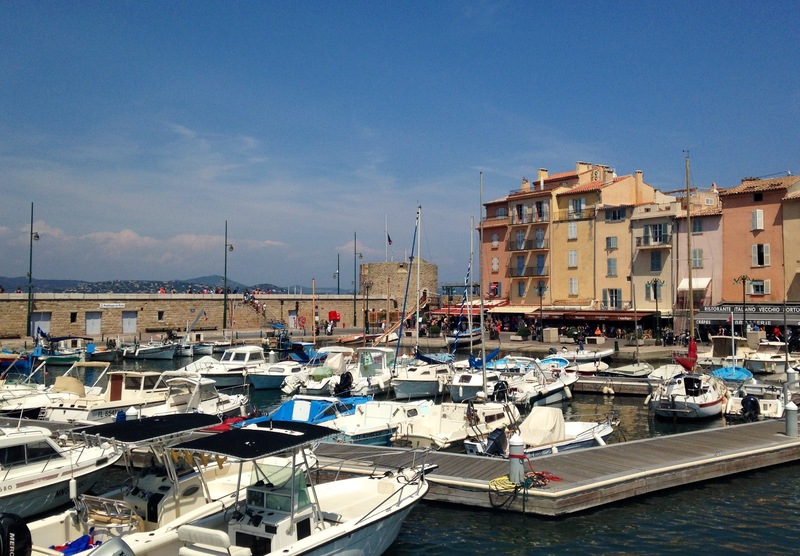 We even came across a number of the same yachts we had seen in Cannes. St Tropez Dock is one of the biggest I’ve seen. 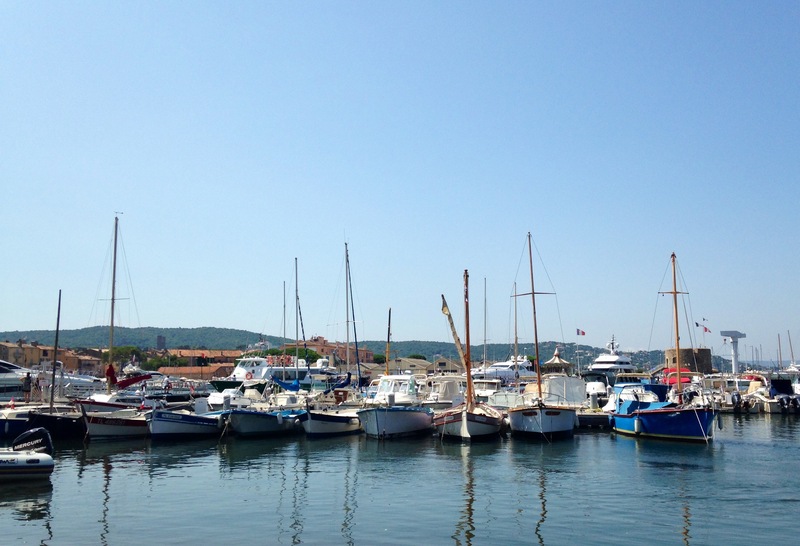 It was an endless maze of jetties filled with sailing equipment, little boats, sailing boats and super yachts. 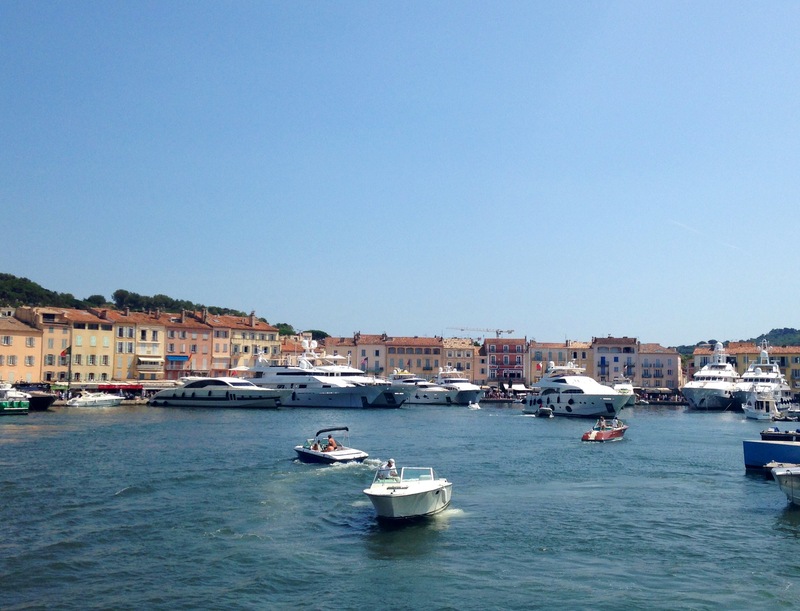 It was very busy with lots of boats coming and going – it’s a great place to people watch that’s for sure! 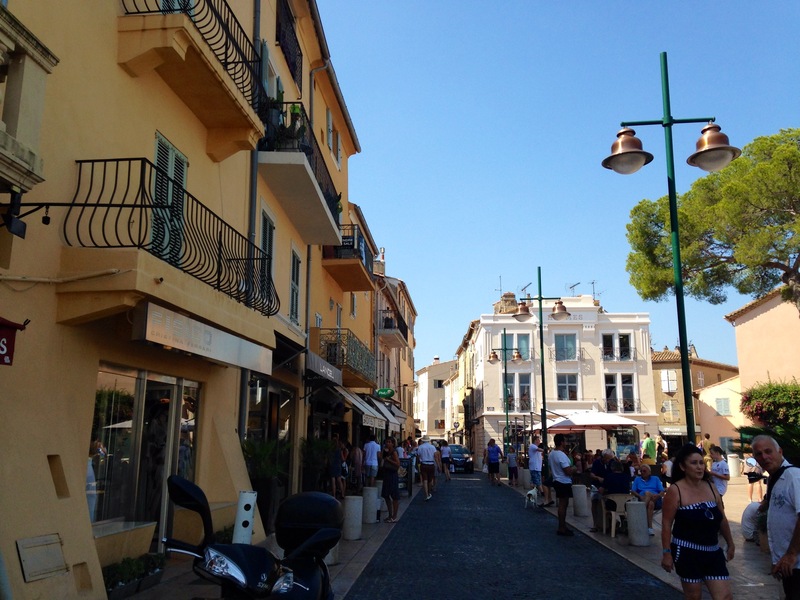 After baking under the midday sun we headed inland towards the labyrinth of shop lined streets. 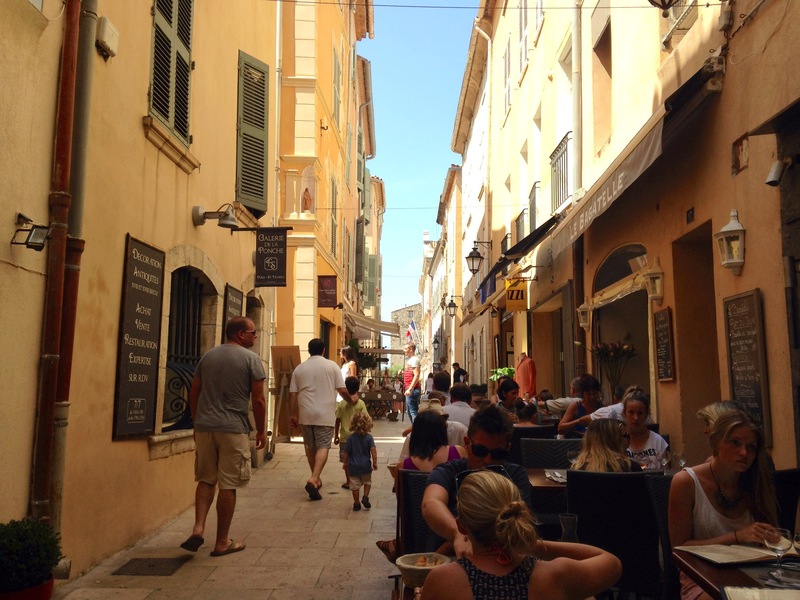 We wandered around the main streets, following the flow of tourists as they took in the sights of the many designer boutiques, stylish restaurants and trendy bars. 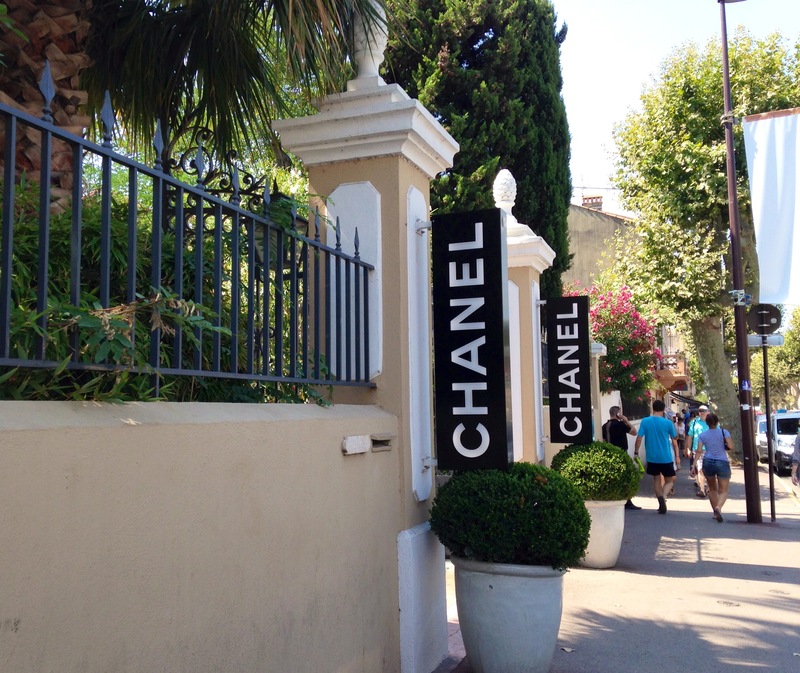 We even stumbled across a giant Chanel store housed in an old building with its own grounds. Again Matt was quick to guide me straight past the entrance! After seeing the many ‘popular’ streets we decided to take our own tour and get a little lost. One of my favourite things to do is get lost in a new town or city. We shun the map and decide which way to turn when we get to a cross roads. If there’s an unusual looking street we’ll wander down it and if I want to know ‘what’s down there?’, then we go down there. I personally think this is the best way to discover a town as you can unearth some of the lesser known gems. 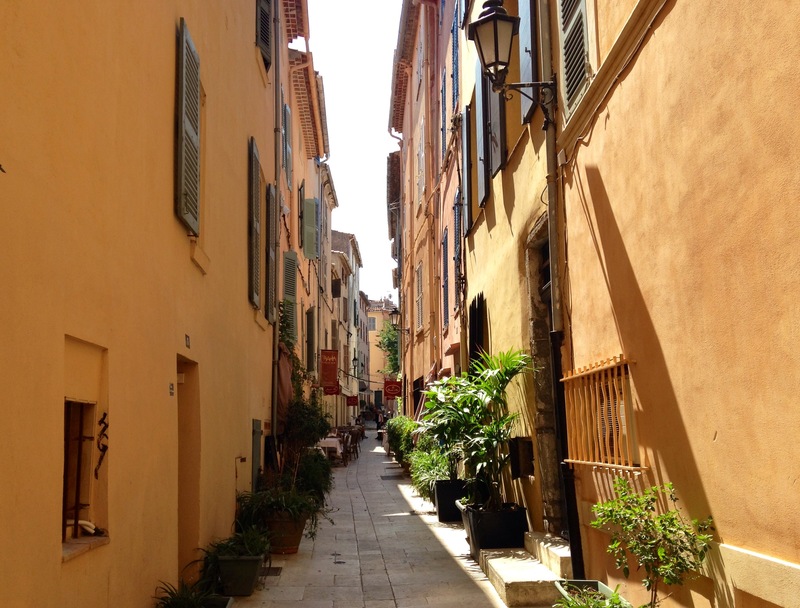 We climbed hills, took dead ends, took some busy streets and some very quite streets. There were some very scenic streets and gems of restaurants and bars. Eventually we came to a very quiet beach on the edge of the town. The beach was tucked away in a little corner, with a few restaurants nearby. The beach had a few sunbathers, a couple of families enjoying lunch and children enjoying a swim – a lovely change from the bustling beaches we’d previously seen along the coast. We enjoyed peace and the view then headed back to meet everyone else for lunch. 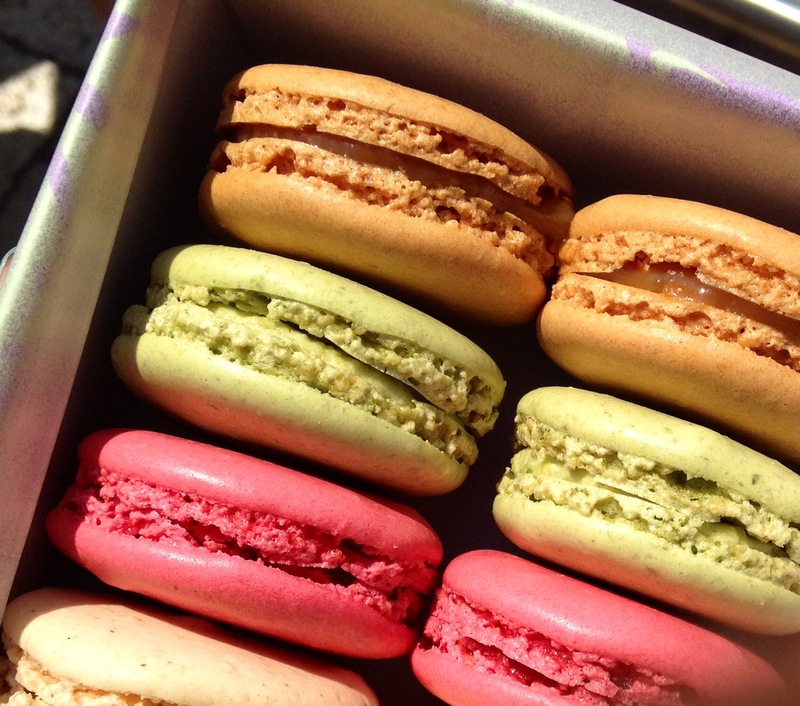 After lunch I headed straight for my guilty pleasure while in France – Laduree. Since discovering this macaroon heaven when I lived in Grenoble 3 years a go, I always treat myself every time I come across a store. 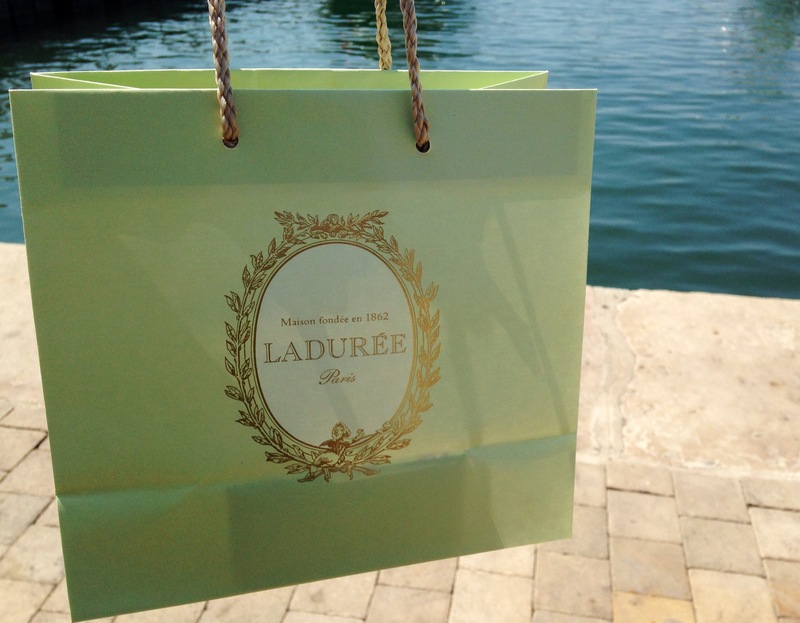 After buying the macaroons we headed to the dock and caught our boat back across the bay. 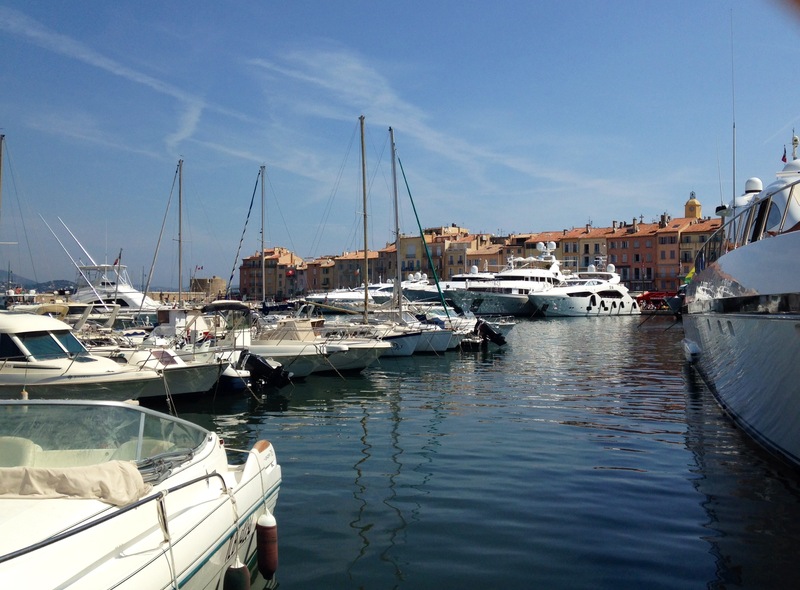 For me, Saint Tropez is a little slice a heaven. 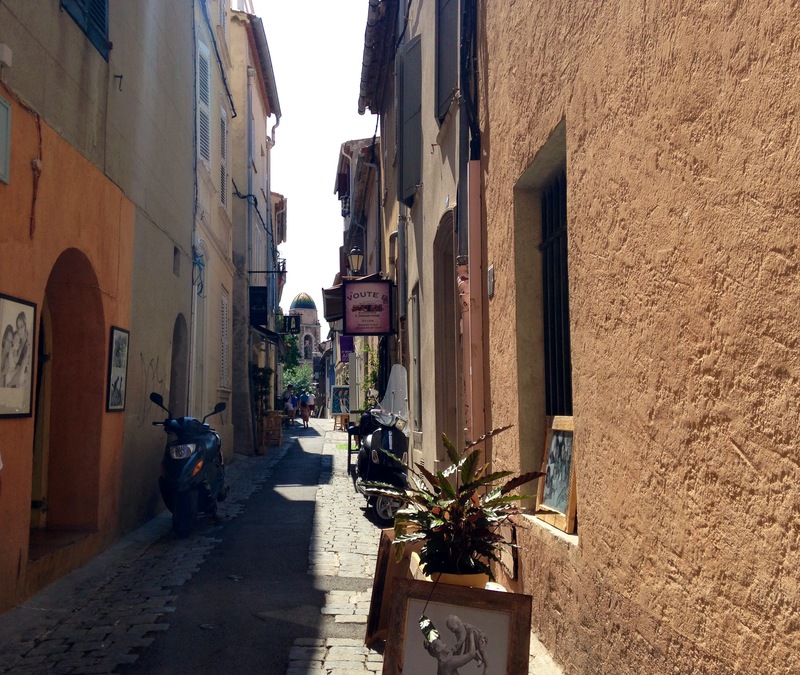 I love all the narrow streets lined with cafés, galleries and boutiques. I adore the historic buildings filled with history and charm. And the the scenic parks and secluded beaches are just blissful. I definitely plan on returning! 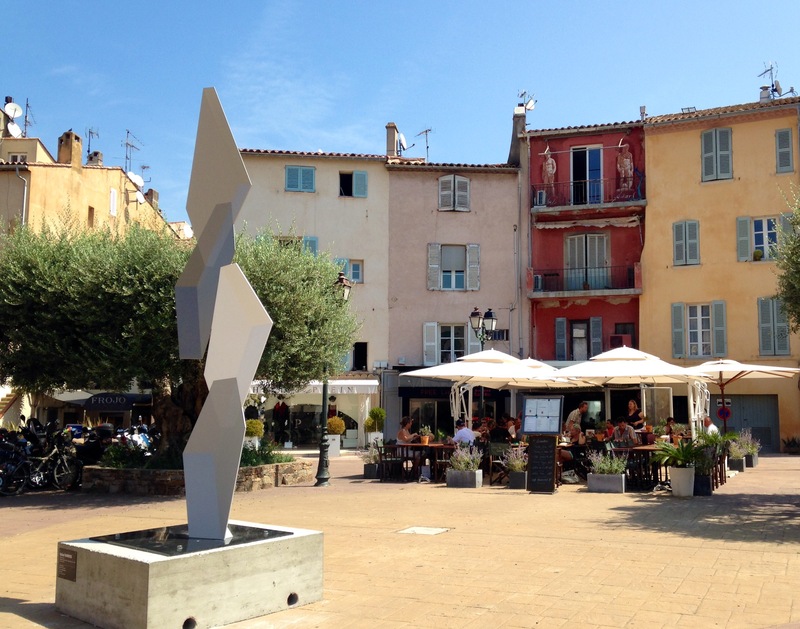 Have you ever visited Saint Tropez? What was you’re favourite thing about the town? What would you recommend to others? 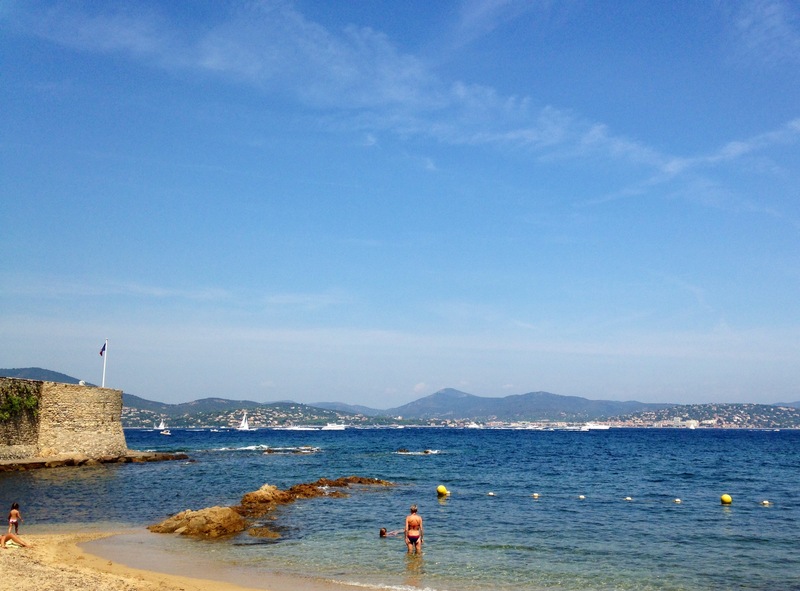 I seriously can’t wait to go to St Tropez next month, your posts have got me really excited for my holiday! I hope you have a fab time… it’s beautiful! I would definitely go back, it’s a beautiful time.